We all know the magnitude of fashion and beauty, hairs the most important part of one’s grooming and persona also need a proper care to glorify your overall personality. London houses a large number of classy and blunt salons catering everyone and different tastes. The salon offer variety of services for all the occasions, either looking for a drastic makeover change or pre party. The hair salons in London are good enough to suit all the different tastes and pockets. Here are few salons where you can visit and get a much needed haircut to groom yourself. The ESHK Hairdressers chains have properties in the Clerkenwell and Hoxton in London. The chain has been recognized as one of the best hairdressers in London for 3 years by Time Out magazine. ESHK started it operations in 2005. This fashionable hair salon offers a pleasant atmosphere and the squad understand your needs by spending some time with the clients. 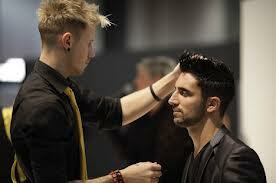 They use the best products to ensure the gentle care of while cutting client’s hair, styling or coloring. The salon also offers unique services; offer kind drinks and play a soothing music. The services range from £15 to £60. One may think several times before heading the grand Bourdon House, house to the Alfred Dunhill’s store, where a just a modest welcome gives you the feel of exclusiveness. The place is filled with old books, a mini TVs and products from 200 year old London pharmacist DR Harris. The services offered are quite inspiring, affable and versatile, with contemporary styles. A spa area offers cure for men and women if needed and the Cellar bar offers a brilliant fiery Bloody Mary, brought to the barber’s chair. The hair cut cost £50 and shave £40. The Daniel Hersheson is known for proposing great haircut and blow dry since 1990s. Even with its swishy testimonial, it’s so mixed in the style making it a super salon. Luke Sherrington is recommended for the cuts. Sherille Riley, the beauty counselor, offers brilliant waxing and facials in the separate ladies beauty room located downstairs. The services range from £14 to £300. If you are looking for a salon which offers no-nonsense cuts or blow-dries in the friendly ambiance, then Charles Worthington is the place. The salon is minimal but comfy. The blow dry services start from £36, manicures and pedicures from £13.